Nuclear Power Corporation of India Limited (NPCIL) is a Public Sector Enterprise under the administrative control of the Department of Atomic Energy (DAE), Government of India. The Company was registered as a Public Limited Company under the Companies Act, 1956 in September 1987 with the objectives of operating atomic power plants and implementing atomic power projects for generation of electricity in pursuance of the schemes and programmes of the Government of India under the Atomic Energy Act, 1962. NPCIL also has equity participation in BHAVINI, another PSU of Department of Atomic Energy (DAE) which implements Fast Breeder Reactors programme in the country. 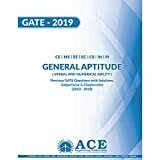 (1) First fill online application for GATE- 2019/2018/2017 examination. 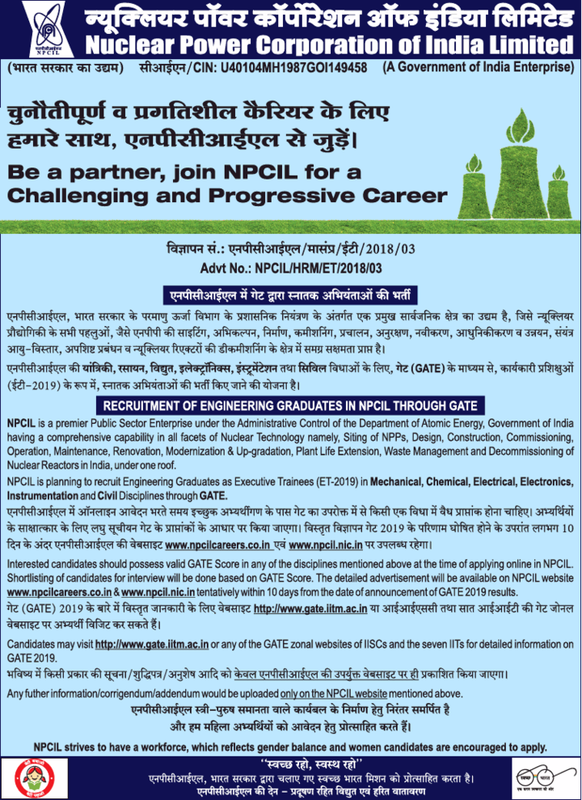 (2) Second fill NPCIL online application with GATE-2019/2018/2017 registration number. 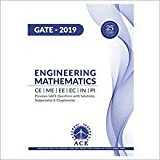 (1) The candidates will be shortlisted on the basis of GATE-2019/2018/2017 score. (2) The final selection will be done after Group Discussion (GD) & Personal Interviews (PI). Is there any 3 year bond after selection? Please visit official website of NPCIL for bond rules. Feel free to ask if you need any help in future & join us @ Google+ / Facebook for getting regular updates. Please upload last year paper of NPCIL ET of mechanical engineering. NPCIL conduct online CBT. NPCIL doesn’t provide question paper after completing exam. So it is really hard to provide question paper of NPCIL ET. Although we will try to provide previous years memory based question soon. Sir I completed BE in e&tc .so am I eligible to apply for electro nic post? Within 1-2 months after closing date of online application form.